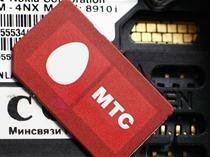 MOSCOW, Sep 14 (PRIME) -- Major Russian mobile operator MTS has acquired for 8.9 billion rubles 100% of firm Avantazh, the owner of one of the country’s biggest data processing centers in the Moscow Region, from a group of private investors, the mobile operator said on Friday in a statement. The amount of the deal includes Avantazh’s net debt. The mobile operator’s Vice President for technology and IT Andrei Ushatsky said a rising number of local companies have been rejecting over the recent years expensive activities to build own corporate server centers and have been going to “cloud” providers, which offer attractive terms on processing and storage of data and a high level of security and resilience. “MTS actively expands its presence on the Russian market of ‘cloud’ services through purchase and construction of data centers. The acquisition of data processing center Avantazh will secure a huge increase in computing capacities of MTS and will expand the technological base to provide services to corporate clients,” the executive said. The center is a high-technology site with the capacity of 20 MW for 2,240 racks on the area of 6,400 square meters. It has become the 10th in MTS’ federal chain of data centers, which are located in the country’s big cities.